Sage hosted a conference call yesterday where they shared the above release schedule with their consulting partners. 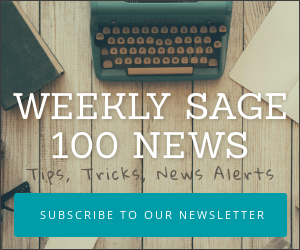 Watch for the next release – Sage 100 2017 – to be available during October 2016. 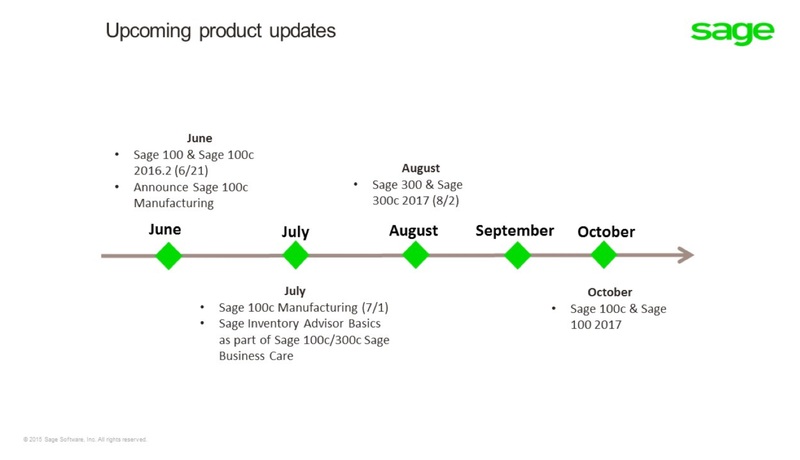 Sage is slated to release their Sage 100c Manufacturing (fka Job Ops) on July 1. This will be available exclusively for Sage 100c users. If a company is a Sage 100 user they reported will need to migrate to Sage 100c in order to use Sage 100c Manufacturing. As with all release schedules, the timeline shown above is subject to change and represent a best estimate of the expected release dates. More information on features expected in these releases will likely be shared at Sage Summit 2016 July 25-28, 2016 in Chicago.